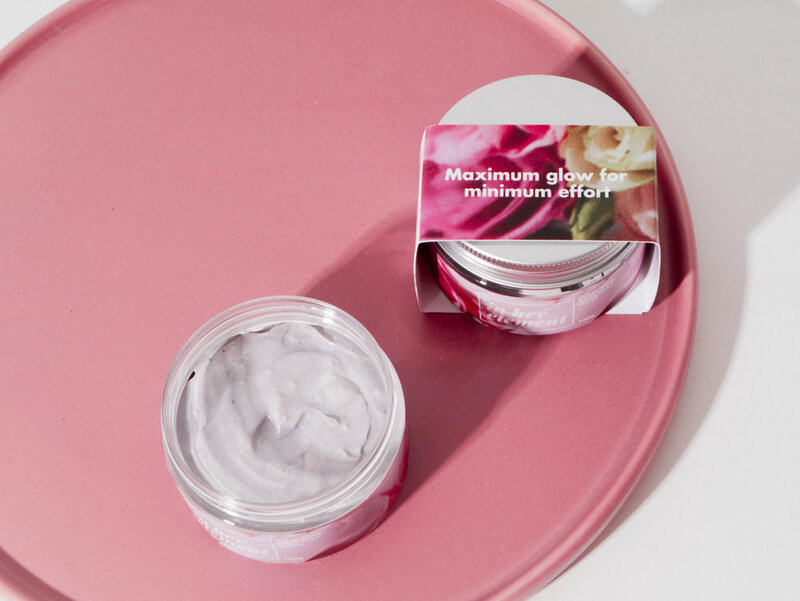 This fast-acting, instantly brightening clay mask (100g) features luxurious rose water with rose clay to remove impurities from your pores. It also contains glycolic acid, a powerful yet gentle exfoliator, to help hasten dead skin turnover. This is a non-drying rinse-off mask that has a mattifying finish. This mask is best used after cleansing with your facial wash. Once you’ve patted your skin dry, apply a generous layer with clean hands then leave it on for 10 minutes. Rinse thoroughly, then continue with your normal skincare routine. Use two to three times a week. Aqua, Camellia Oleifera Seed Oil, Vitis Vinifera Seed Extract, Glycolic Acid, Rosa Damascena Water Distillate, Kaolin Clay, Aloe Barbadensis Leaf Extract, Phenoxyethanol and Ethylhexylglycerin and Dried Rose Petals. Petal Skin Rose Clay Mask By @inher_element 5/5 —� for sheer genius and product design ⠀⠀⠀⠀⠀⠀⠀⠀⠀ ⠀⠀⠀⠀⠀⠀⠀⠀⠀ Clay masks get a lot of love for several reasons - they’re easy to use and you can see instant results. I’ve only tried 2 prior to this one, Innisfree’s super volcanic pore clay mask, and the Indian aztec clay mask, and with all honesty, I prefer this one. Here’s why: ⠀⠀⠀⠀⠀⠀⠀⠀⠀ ⠀⠀⠀⠀⠀⠀⠀⠀⠀ 🌷 Compared to the tight feeling you get after washing a clay mask off, this leaves your skin moisturized, probably due to it’s coconut oil content. ⠀⠀⠀⠀⠀⠀⠀⠀⠀ ⠀⠀⠀⠀⠀⠀⠀⠀⠀ 🌷Aside from removing skin impurities, this also has Glycolic acid, which helps exfoliate the skin and improve texture and complexion. I can imagine that with several uses, this will smoothen and brighten the skin. ⠀⠀⠀⠀⠀⠀⠀⠀⠀ 🌷Applies smoothly — no skin tugging whatsoever. You don’t need a lot! I learned the hard way — I often apply a heavy layer of clay mask. It took me a while to wash this off, so the second time I tried it, I only applied a thin layer. Worked better, dried faster and was also easier to remove. ⠀⠀⠀⠀⠀⠀⠀⠀⠀ 🌷IHE products are fragrance free, so I can assume that the rose scent can be attributed to the rose water content. If you’re sensitive to scents, you can do a swatch test, but I don’t mind as this makes me feel like a Donya whenever I apply it 👸🏻 the scent lingers after washing the mask off - thoughts? Beso habang mabango! ⠀⠀⠀⠀⠀⠀⠀⠀⠀ ⠀⠀⠀⠀⠀⠀⠀⠀⠀ Final thoughts: I love that I found a clay mask that applies smoothly, leaves my skin bright and moisturized, and smells like a bed of roses. Petals (I’m assuming those were petals) were more difficult to remove than the actual clay mask, but nothing a warm towel can’t fix. Packaging feels sturdy, also has an inner cap to secure the product. Worth a try! REVIEW • Over a month ago, local brand @inher_element introduced us to a new way to glow with the release of their Petal Skin line. As I’ve posted before, the brand describes #petalskin as radiant, bouncy, and matte like a luscious flower petal. I’ve always wanted to try their products and I was so happy when they sent me this line. I’ll be reviewing the Petal Skin Rose Clay Mask for now as it easily became one of my favorite masks after just one use! It’s that good! 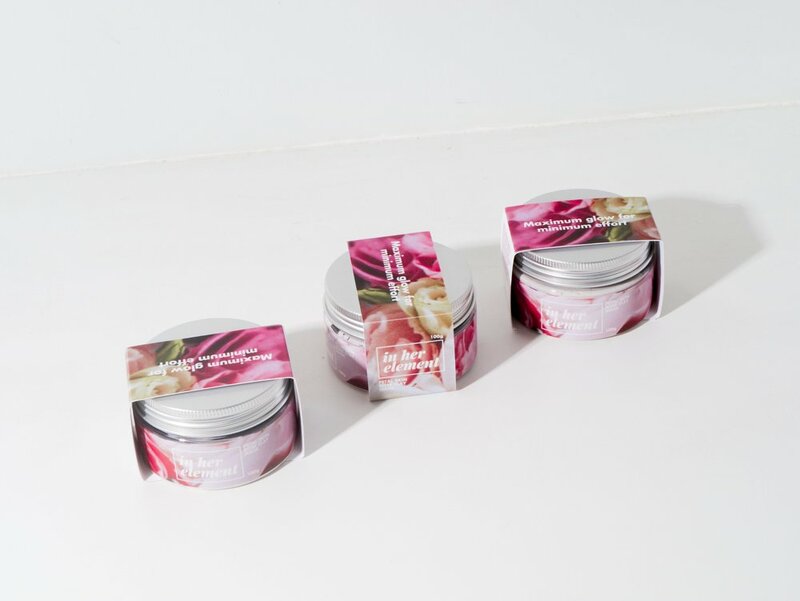 ⠀ This is a brightening clay mask made with rose distillate, which has natural antiseptic and antibacterial properties; and rose clay which helps clear impurities. It also contains glycolic acid to exfoliate and help brighten the skin. Throughout my skincare journey, I’ve found that my skin responds really well to glycolic acid and this is definitely a welcome addition to my routines. ⠀ The mask has a thick, bouncy, jelly-like texture and the rose scent smells sooo nice! It applies and spreads easily, and feels light on the skin. It is fragrance-free, sulfate-free, paraben-free and cruelty-free. ⠀ On my first couple of uses, I definitely felt the warm tingling sensation— and like I said in my first impressions review, it was the good kind of warmth. There was no burning, no stinging, no itchiness and no irritation. Compared to most clay masks, this never dried out my face and my skin is noticeably brighter and radiant after each use. ⠀ I’m so happy because as a bride-to-be (hehe), I’ve found a mask that can help me prepare my skin so I can look radiant on my big day. This has definitely earned a spot in my weekly skin pampering routines and as a go-to product whenever I need to look or feel pretty. Will definitely repurchase over and over! ⠀ Let me know if you have questions! Thank you again, @inher_element, @projectvanitycom team, @lizlanuzo and @kobecow for letting me try this!